​In 2004, our founders had a simple idea: get more people on bicycles by offering refurbished bikes suitable for commuting using a borrow-or-buy system. Since then, we have “checked out” approximately 2,200 bicycles. Although our initial concept has stayed the same, the program has grown. In addition to checking out bikes to patrons for six months with the option to purchase, our volunteers also sell used “as is” bikes and parts, participate in activities within our community, and recycle scrap metal and rubber. 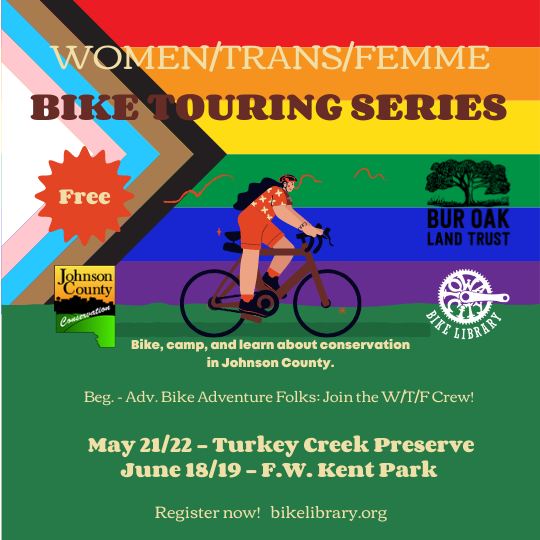 The Bike Library has partnered with community organizations to provide working bicycles and instruction for safe, fun riding to children and educational opportunities to adults. In the past two years alone, we have gained 501c3 status, established our first paid staff position, that of executive director, and moved twice. For ten years our home was the old John Wilson Sporting Goods building, thanks to the City of Iowa City. Now that we are on our own, we have seen our overhead increase markedly. This is where you can help. Your tax-deductible donation will be put to work to support our ongoing mission of getting more people on bicycles. Donations can be made through the Paypal button below or to our mailing address at PO Box 2870, Iowa City IA 52244. Donations are tax-deductible, and a receipt is available upon request.